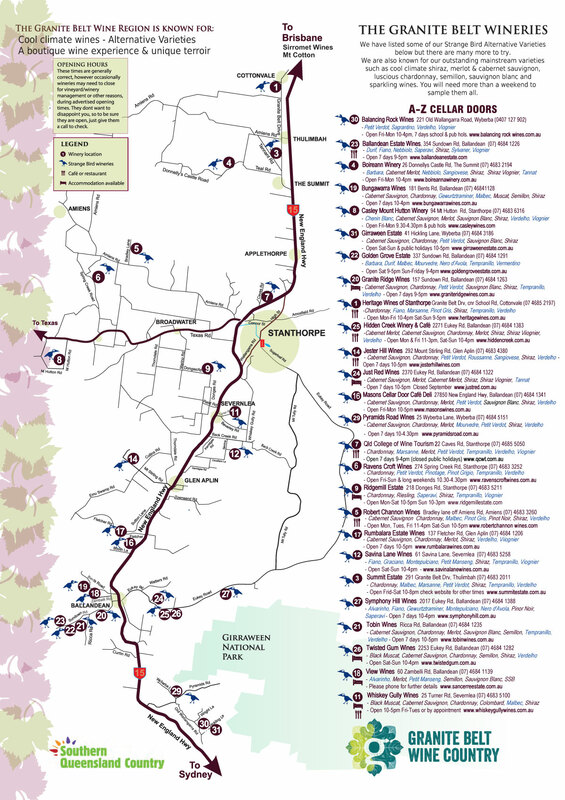 Click on the strange bird to download your official Granite Belt Wine Trail Map. The region has a growing reputation as one of Australia’s top producers of alternative variety wines – known here as Strange Birds. To be called an alternative, a variety must represent not more than 1% of the total bearing vines in Australia as defined by Wine Australia. Wine tasting the cellar doors of the Granite Belt is a unique wine experience, where you’ll encounter exciting varieties, that pair very specifically to ideal foods. The wineries of the Granite Belt offer a boutique and authentic wine experience, where in many cases the hands that pour your glass are the same that tended the vines and made the wine. Certainly each bottle has a story to tell and each cellar door welcomes you to discover that unique story that goes with their variety of Strange Bird wines. Enjoyed in Europe for generations, these alternative varieties are now emerging as Australian favourites due to their ability to match perfectly with our food preferences. You can taste alternative varieties at dozens of our cellar doors. New to the Strangebirds this year are white: Roussane, Alvarinho and Petit Manseng as well as reds Sagrantino and Montepulciano. 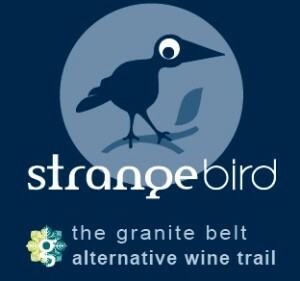 Discover which wines are StrangeBirds and find a cellar door on our StrangeBird Wine Trail Map or search our Cellar Doors.